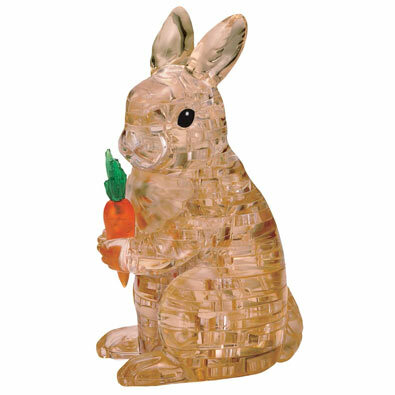 Take puzzling to a whole new dimension with this unusual 3D crystalline bunny. The uniquely shaped interlocking pieces combine to make a nice decoration. Don't be fooled, this puzzle is harder than it seems! Plastic. 43 pieces, 2-3/4" x 4-1/2". Ages 12 and up.